Click on the the above newspaper articles and sign for enlarged versions. In 1916 Cleveland Bishop John Farrelly announced the creation of a new Catholic preparatory school for boys to be built at University Circle – Cathedral Latin School. It opened in the fall of 1916 in temporary quarters in Hitchcock Hall of Western Reserve University at 11105 Euclid Avenue. The permanent home was built on 2056 E. 107th Street between Euclid and Carnegie Avenues. The new building’s cornerstone was set in 1917 to initiate the Italian Renaissance design by Boston Architect E. T. Graham. The first eleven graduates commenced from the school in 1919 at the formal dedication of the new building. Thirteen diocesan priests staffed the school for academic courses and five Marianist Brothers taught science and business courses. 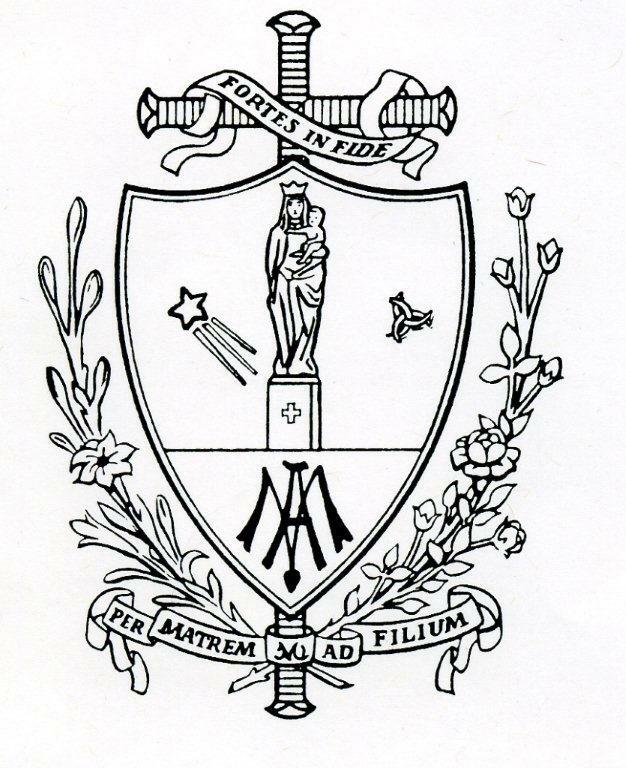 The Society of Mary (Marianist order) of priests and brothers was founded in Bordeaux, France. Cleveland Bishop Amadeus Rappe invited Marianists to Cleveland. When Cathedral Latin opened, the brothers withdrew from the parish schools in the city and staffed the new preparatory school. Latin was modeled after Boston’s Latin School and, combined with the Bishop’s intent to build a cathedral on the site now occupied by Severance Hall; the school would serve a function for the cathedral community. Bishop Farrelly’s plans were never completed following his untimely death in 1921. Cathedral Latin prospered, nonetheless, and grew with enrollments and facilities. Residence halls for students and faculty were added as well as an annex to the building to accommodate more than 11,000 men from 1916 through the schools closing in 1979. Throughout its history, Latin distinguished itself in academics, extracurricular programs, and athletics in the East Senate with Cleveland’s public schools and several other Catholic high schools. 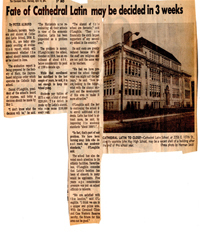 By 1970, Latin’s enrollment declined to just over 800 students as neighboring Doan’s Corners block deteriorated with urban blight and parents grew wary of neighborhood issues. In 1975, a threatened closing of Cathedral Latin prompted a three week rally of resources including its strong alumni to support the program and manage its future. “Latin is here to Stay” announced a banner on the front of the school. A study to determine future strategies would keep the school open. The effort would only last four years as enrollments continued to fall to 300 students by the end of the decade. 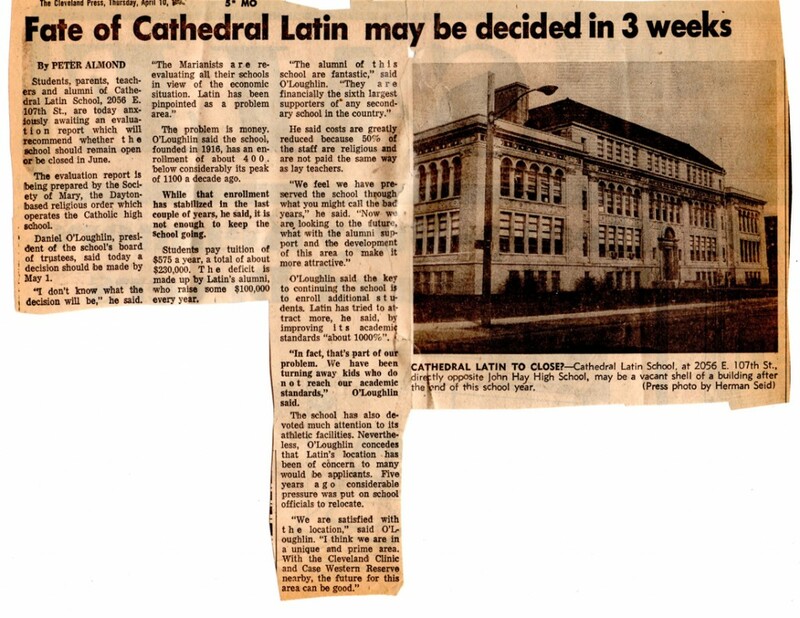 In February, 1979, the Marianist provinciate announced the closing of Cathedral Latin. Several efforts were undertaken to save the school by the alumni association to reopen the school with a different administration. However, without diocesan support, the effort did not materialize. 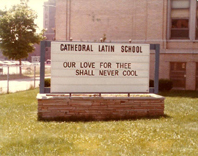 In June 1979, Cathedral Latin graduated its last class. 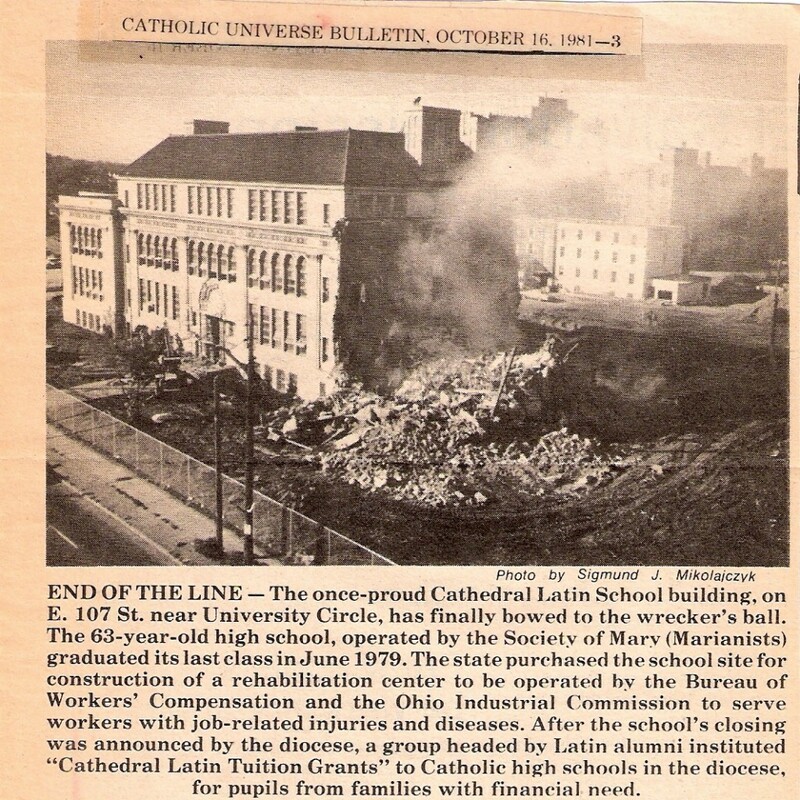 The diocese promptly sold the buildings and land along the west side of East 107th street to the state/city/UCI in 1980. 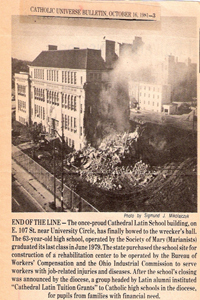 On October 16, 1981, Cathedral Latin was demolished. Corresponding actions to legally shut down and seize the Euclid Avenue strip of undesirable establishments owned by Winston Willis made way for a project suited to the desires of the University Circle master plan. In its space stands the former state-owned W.O. Walker Industrial Rehabilitation facility. 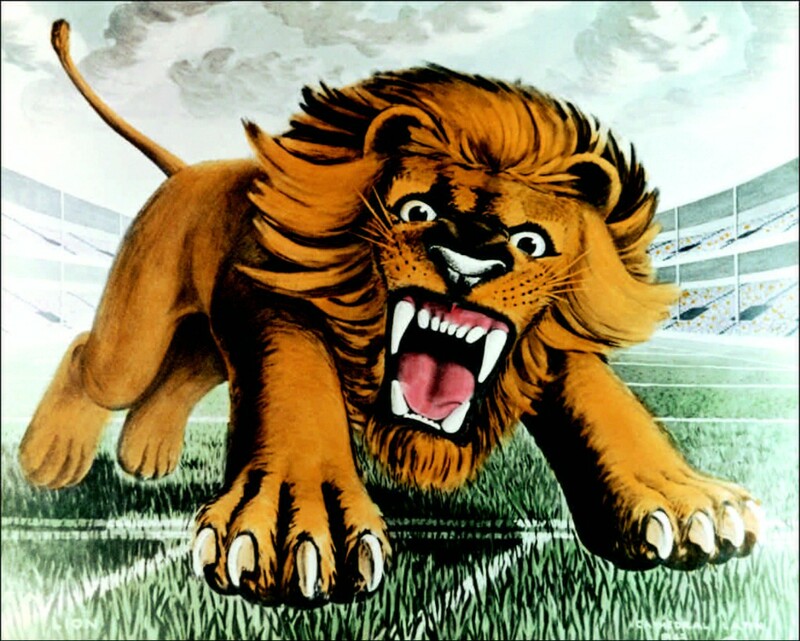 1927 Cathedral Latin vs. Waco National Football Championship – Click Here to read.